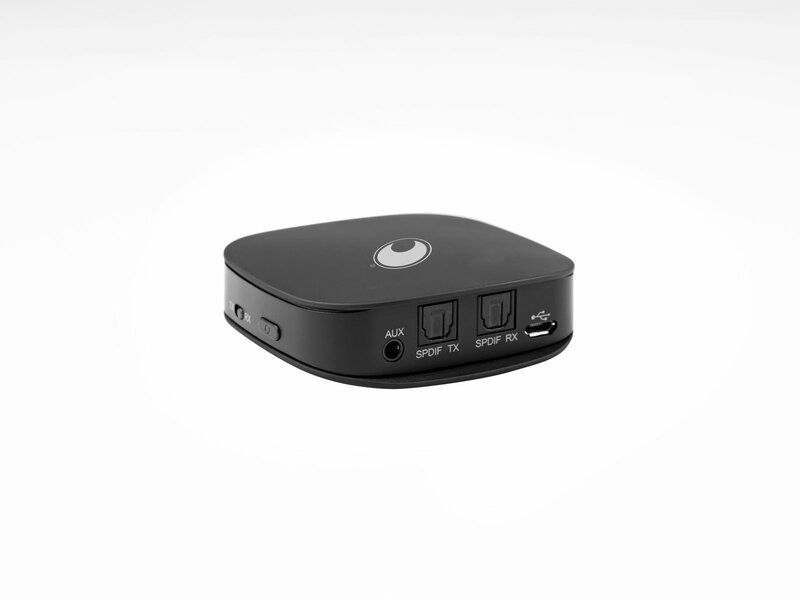 The WDT-5.0 is a 2-in-1 Bluetooth transmitter and receiver. 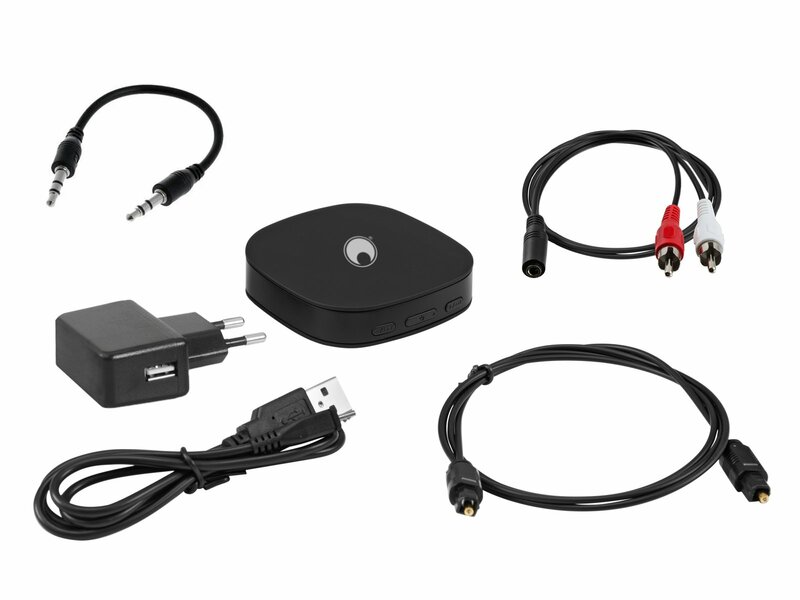 With the premium CSR8675 chipset and Bluetooth 5.0 technology, this compact and portable adapter delivers fast and reliable wireless connections. When used as a Bluetooth transmitter it can stream the sound of non-Bluetooth devices like your TV or computer to Bluetooth headphones or speakers. 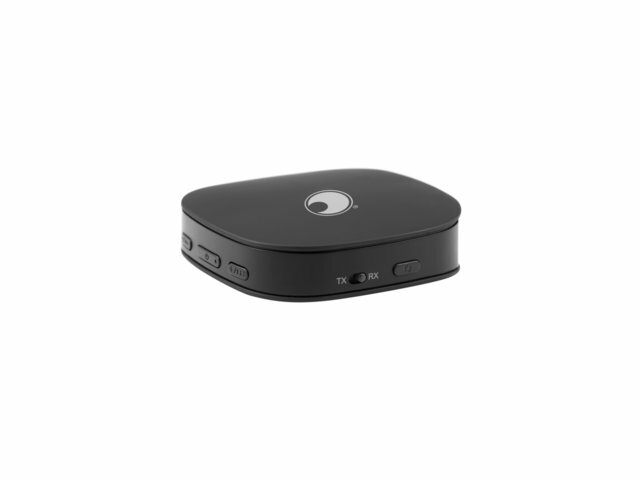 When used as a Bluetooth receiver it can be connected to your home audio system for wireless music playback from your Bluetooth-enabled smartphone, tablet or laptop. 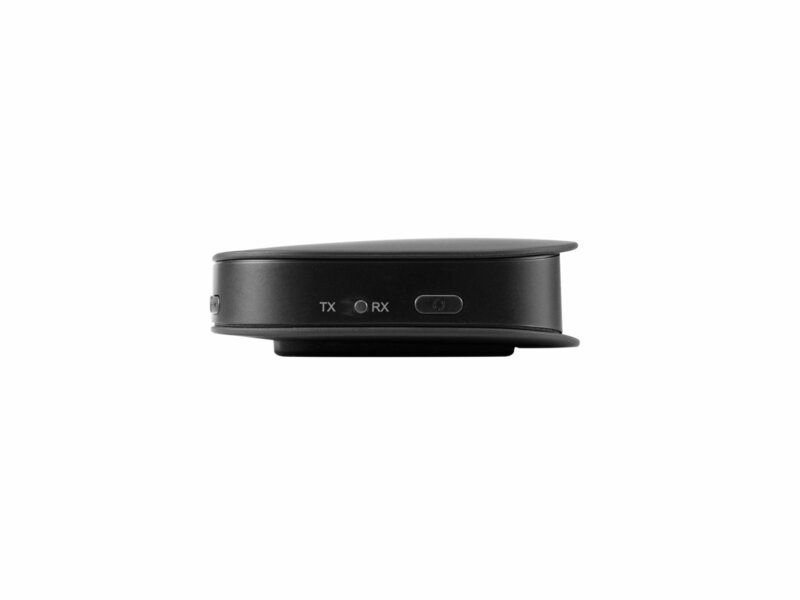 The WDT-5.0 supports the aptX HD technology in both modes to bring you high-definition wireless audio streaming. The aptX Low Latency technology reduces latency to 40 ms so you can enjoy high-quality audio in sync with the picture. To enjoy the advantages of aptX your Bluetooth headphones or speaker must support this technology as well. 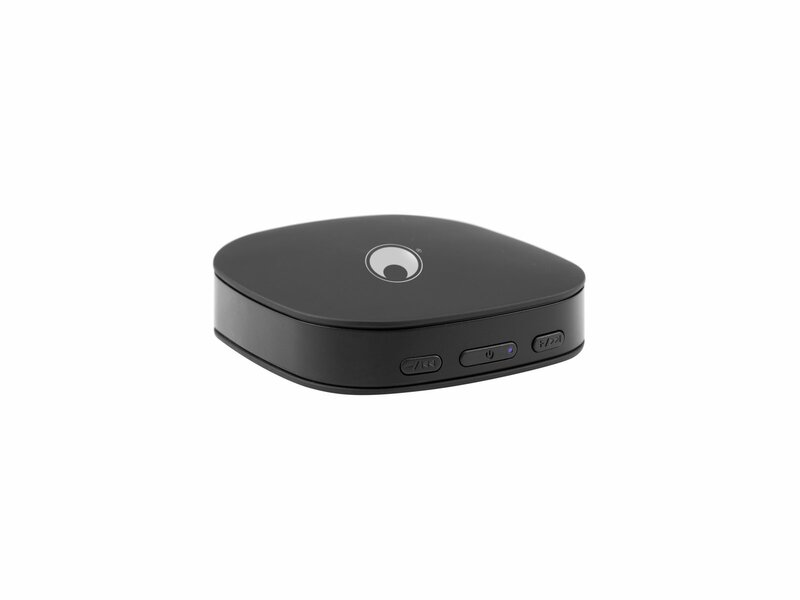 The adapter can pair and connect to 2 Bluetooth devices simultaneously and store 8 devices for automatic re-pairing with existing paired devices. Equipped with a long-lasting lithium-ion battery, it can continuously play for more than 20 hours, and just needs 2 hours to fully charge. It also supports charging and streaming at the same time. You can use the included wall adapter for charging or any 5V USB port. 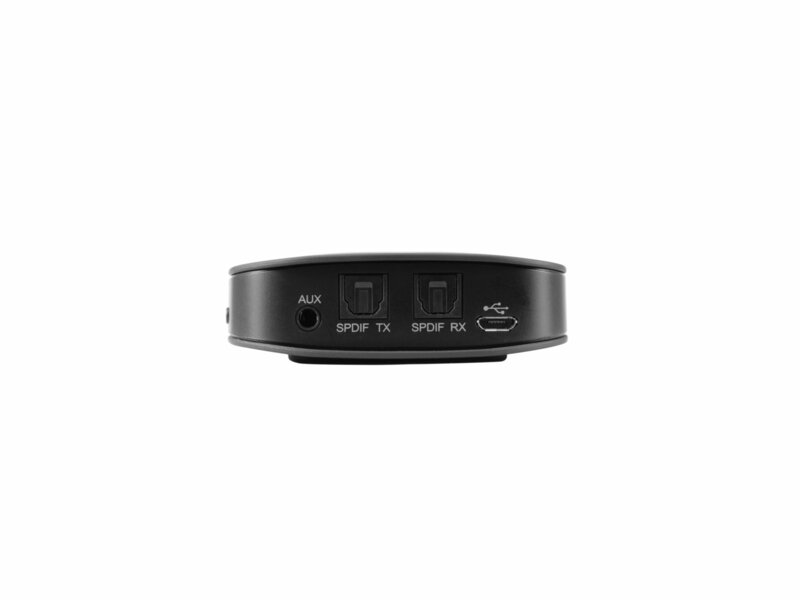 The WDT-5.0 supports both analog (3.5mm AUX/RCA) and digital optical (Toslink) audio input and output for universal compatibility. All necessary audio connection cables are included.